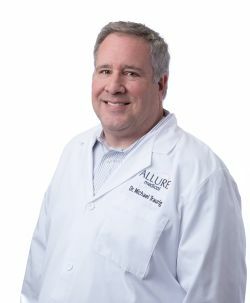 Dr. Michael Traurig established Vein Centers for Excellence of Greenville in 2003. Over the years he has earned a reputation as a true leader in the field by combining specialized expertise with a caring attitude and a strong commitment to meeting each patients’ individual needs. Dr. Traurig is a Diplomate of the American College of Phlebology (the field of medicine dealing with vein disorders). His practice is the first free-standing ICAVL certified vein center in South Carolina, as well as the first South Carolina vein center accredited by the Better Business Bureau. Dr. Traurig is also the winner of the Vitals.com Patients’ Choice Award for 5 years running. Dr. Traurig’s extensive training gives him the specialized skills to perform diagnostic vascular ultrasound, accurately interpret the results, and determine the treatment option that will achieve the best results for you. He is pleased to offer non-invasive and minimally invasive solutions for varicose and/or spider veins. And he performs these revolutionary treatments without the pain, lengthy recovery time, or cost of traditional surgery, so you can enjoy attractive legs and the active life you deserve.